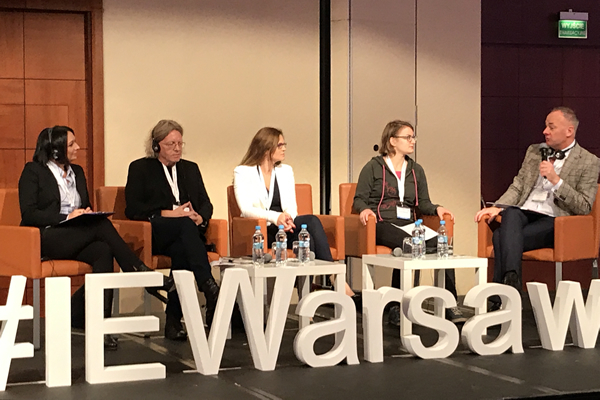 WARSAW, Poland — ILGA-Europe’s annual conference took place in Warsaw, Poland, the first week of November. It’s theme of “Change: Communities Mobilizing, Movements Rising” came at a crucial time where LGBTI activists and NGOs in various Eastern European countries are seeking support outside of their communities. The local host for the conference was Campaign Against Homophobia, an organization working for the equality of LGBTI people in Poland. Although the organization has been engaged in advocacy and raising community support for the LGBTI community since 2001, the LGBTI community has endured escalating numbers of acts of violence and discrimination in the two years since the right-wing and nationalistic Law and Justice Party came to power. There are two million LGBTI people in Poland and yet according to the ILGA-Europe’s 2017 Rainbow Index that measures the legal and policy human rights situation in European nations, the country scored 18 percent out of a possible score of 100 percent, making it one of the countries in the European Union with the lowest scores. With absolutely no policies or laws in place against hate speech or hate crimes involving sexuality or gender identity, Polish activists and NGOs are calling on Polish authorities to take action and make the necessary changes through legislative measures to ensure equality and social acceptance. During the ILGA-Europe conference a panel and then a press conference was held to address legislative issues involving LGBTI equality with opposition politicians: Monika Wielichowska of the centrist Civic Platform; Krzysztof Mieszkowski from the liberal Modern Party; Justyną Samolińską from the Together Party and Barbara Nowacka, leader of the former United Left Party and chair of Initiative Poland, which is a relatively new nationwide progressive association. Missing from the panel were representatives from right-wing political parties, most notably the Law and Justice party that dominates Parliament. During the press conference Campaign Against Homophobia President A. Chaber and ILGA-Europe Executive Board co-chairs Joyce Hamilton and Brian Sheehan joined the panel of politicians. Other Eastern European countries that lack any hate speech or hate crime policies and laws based on sexuality and gender identity are Moldova, Azerbaijan, Belarus, Ukraine, Bulgaria, Latvia and Russia. According to the ILGA-Europe’s 2017 Rainbow Index, most of the Eastern European nations scored in the 20 percentile. In addition to the lack of policies involving hate speech and hate crimes, other discriminatory factors include an absence of equality for gender recognition and bodily integrity with laws in place requiring sterilization for gender confirmation procedures; LGBTI families, including adoption rights and registered partnerships or marriage equality. Russia received a lower score of 6 percent and Azerbaijan a score of 5 percent, indicating severe violations of human rights and discrimination of LGBTI communities. Although homosexuality was decriminalized after the dissolution of the Soviet Union, LGBTI people are often discriminated against and persecuted in former Soviet republics. Russia’s “gay propaganda” law that President Vladimir Putin signed in June 2013 “for the purpose of protecting children from information advocating for a denial of traditional family values” has inspired similar laws in Eastern Europe. In December 2013, members of the Belarusian Parliament introduced a bill similar to Russian propaganda law. President Alexander Lukashenko signed the Protection of Children from Information Harmful to their Health and Development Act in May 2016. DOTYK, a Belarussian cultural and educational center, Journalists for Tolerance and the Lithuanian Gay League submitted a collaborative statement voicing their concern for the discrimination of the LGBTI community in Belarus. According to the statement, raids on LGBTI friendly nightclubs in the country’s capital of Minsk and Canteen XYZ, a queer meeting spot, have escalated. The groups say it is important to understand that the restrictions on the LGBTI community in former Soviet republics is “repression against the community and resonates with the harassment and oppression of LGBTI individuals in Chechnya, Azerbaijan and Tajikistan.” They also cite studies conducted by the Belarusian Institute of Strategic Studies in 2010 that found 62 percent of the Belarusians surveyed were in favor of criminalizing homosexuality. A survey conducted by System Business Technologies in 2016 revealed that 48.9 percent of Belarusians said it would be unacceptable to have an LGBTI person as their neighbor. The same year Freedom House concluded that LGBTI people are the most persecuted community in Belarus. Similar anti-propaganda laws have been introduced in Ukraine, Lithuania and Moldova and seek to wage a cultural war on the LGBTI community through legislation. Although the amendments were removed from parliamentary agendas, anti-LGBTI sentiments run high in countries where legislatures continue to flirt with implementing discriminatory laws directed at the LGBTI community. A number of activists at the ILGA-Europe conference explained that in some Eastern European countries legislation like anti-propaganda laws are not implemented because of their membership in the European Union, which opposes anti-propaganda laws and defines them as discriminatory against the LGBTI community. They said that the country will instead seek recourse to discriminate against the LGBTI community through a passive stance on LGBTI protections by not implementing laws to protect the community from hate speech or hate crimes or other objectives for equality. The European Court of Human Rights in June ruled in favor of three gay activists from Russia. Nikolai Bayev, Aleksei Kiselev and Nikolai Alekseyev had staged demonstrations from 2009-2012 in the cities of Ryazan, Arkhangelsk and St. Petersburg. They were arrested and fined, and later filed a case with the European Court of Human Rights in Strasbourg, France. The court ruled that Russia violated Articles 10 and 14 of the European Convention on Human Rights that guarantee freedom of expression and ban discrimination respectively. 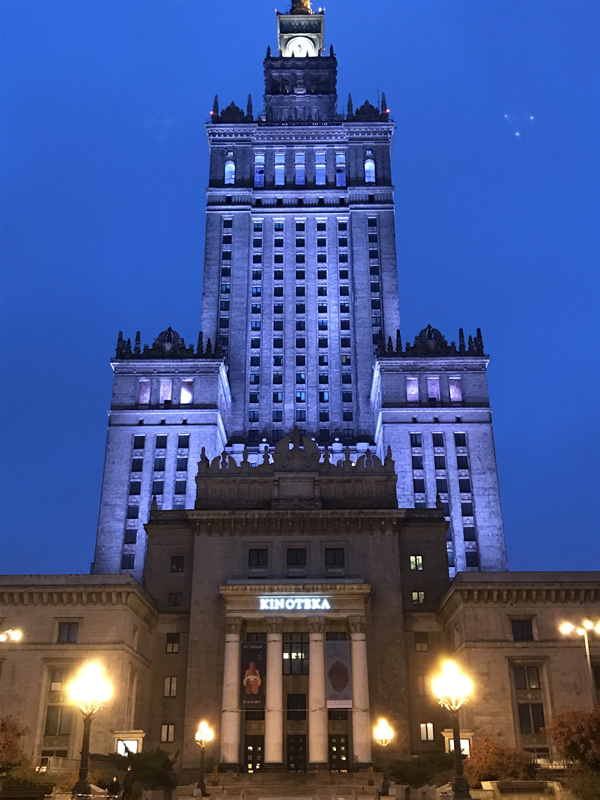 Exactly one week after the ILGA-Europe conference ended in Warsaw, and estimated 60,000 nationalists protested during Poland’s Independence Day march on Nov. 11. They chanted anti-LGBT, anti-Semitic, anti-Muslim and racist slogans such as, “Pure Poland, White Poland.” Marchers also carried banners with racist messages inscribed and threw red smoke bombs. Three radical nationalist groups in Poland led the demonstration, with right-wing extremists from other parts of Europe arriving to join. Anti-fascist counter protestors numbering around 2,000 also rallied during the march. Although the Polish Ministry of Foreign Affairs defended the event as an expression of patriotism, President Andrzej Duda condemned it’s blatant xenophobic and racist overtones. ILGA-Europe’s main focus is to empower LGBTI individuals in Europe. Their advocacy work covers a multitude of initiatives and involves 49 countries across the continent and is not limited to European Union member states. Some examples of how ILGA-Europe’s LGBTI movement building is organized involves regional trainings, their annual conference, in-country work, assistance through their Documentation and Advocacy Fund and Creating Opportunities program and occasional re-granted awards to organizations requiring support through regional projects that is subject to the availability of funding and alignment with ILGA-Europe’s strategic plan. ILGA-Europe also serves as a guide to funders on European LGBTI issues in an effort to ensure communication and more coordination in avoiding funding gaps in European LGBTI communities.